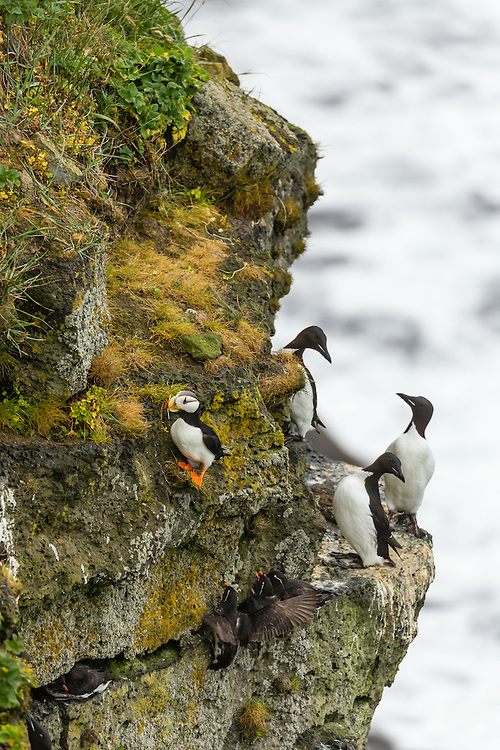 Thick-billed Murres (Uria lomvia), Parakeet Auklets (Aethia Psittacula), and Horned Puffin (Fratecula corniculata) perched on cliff overlooking Bering Sea on coast of St. Paul Island in Southwest Alaska. Summer. Afternoon.